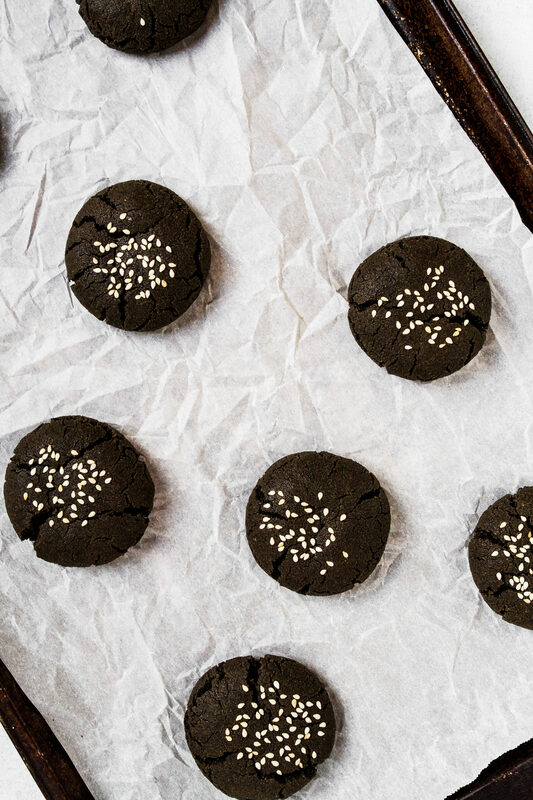 These Black Tahini Cookies have a deep nutty flavor and incredible chewy texture. 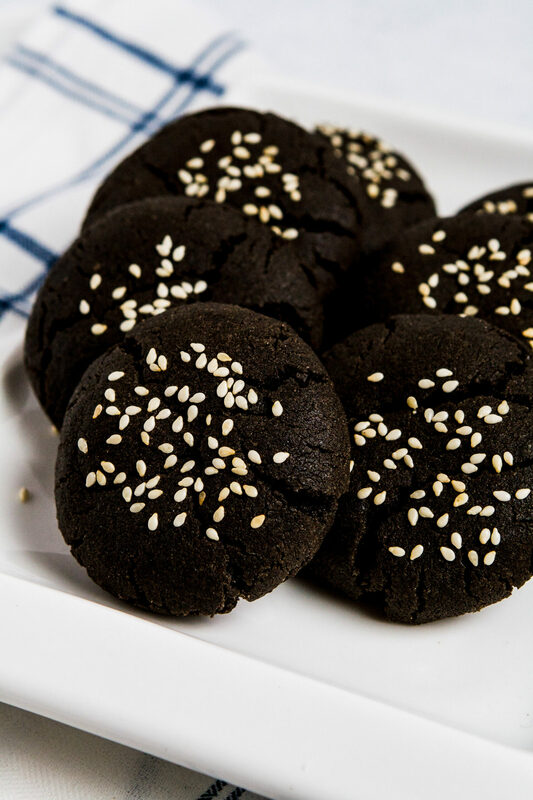 Dark in color and studded with creamy white sesame seeds, these cookies are bound to surprise you. They are addictive. 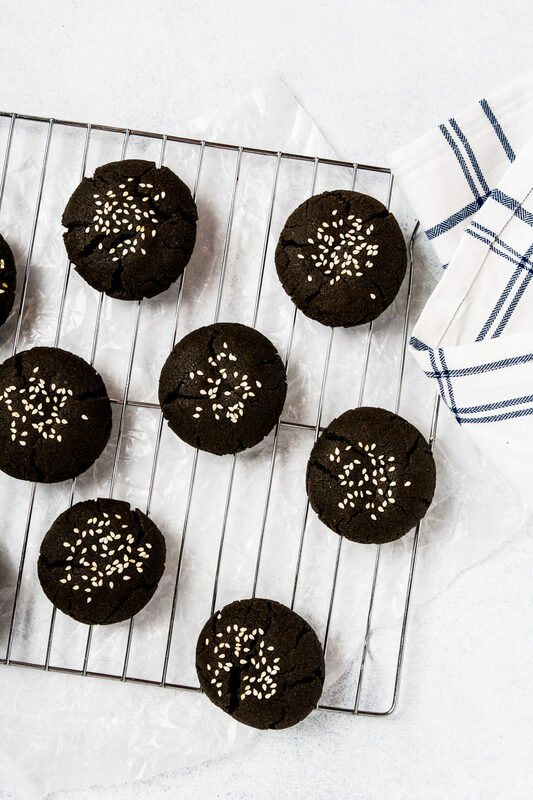 No joke, these cookies are out-of-this-world delicious. They’ve rightfully become one of our favorite cookie recipes. Not only are they packed with a deep, nuanced nutty flavor, but they have a perfectly chewy texture with just a bit of crumble. And guess what? You’d never know they were gluten-free. Yes! You can make these gluten-free by using a gluten-free flour blend. But the best part—you can also use regular all-purpose flour! Zestful Kitchen’s #1 taste tester, who is notoriously anti-gluten-free everything (I get it, he’s a purist of sorts) said these were incredible. And I must say, he doesn’t offer that opinion lightly, nor often. When he asks for more—and when I have to hide a few for myself—I know I’ve struck recipe gold. OK, I’ve heard of tahini. But what is black tahini? First off, we need to know what tahini is. It’s a paste made from ground toasted and hulled sesame seeds. Tahini is made in a process that’s very similar to making nut butters like peanut butter and almond butter. 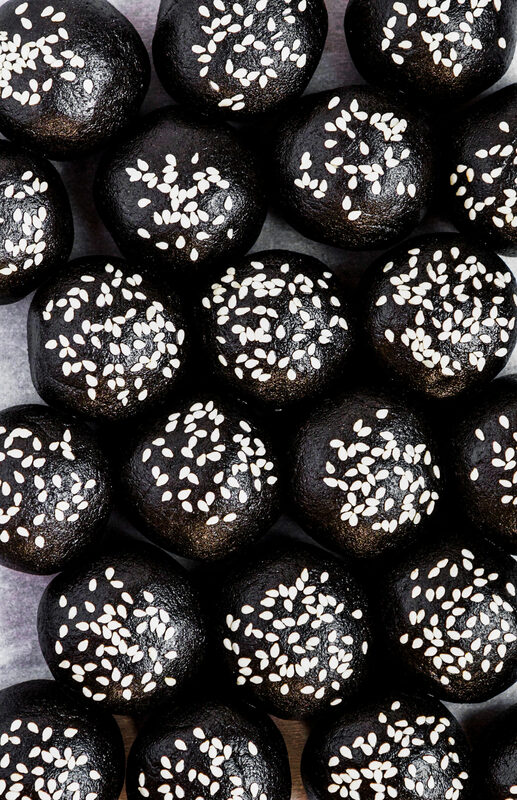 So, regular tahini is made of white sesame seeds, while black tahini is made with black sesame seeds. Simple! You’ll find tahini used in cuisines all over the world, but it’s very popular in in the Middle East, Mediterranean, and North Africa. It’s often well-known for it’s use in hummus and baba ghanoush. in these cookies, but you’ll lose some depth of flavor. When I compared the two, I found that regular tahini has more of a raw, bitter flavor, while black tahini is slightly toastier and more nutty. Not only that, it’s pretty fun to use something that’s so stunningly dark. You said a gluten-free flour blend? Where do I find that? To create a cookie that’s gluten-free but can rival any, gluten-free or not, I always turn to NuLife Market’s Gluten-Free All-Purpose Flour Blend. 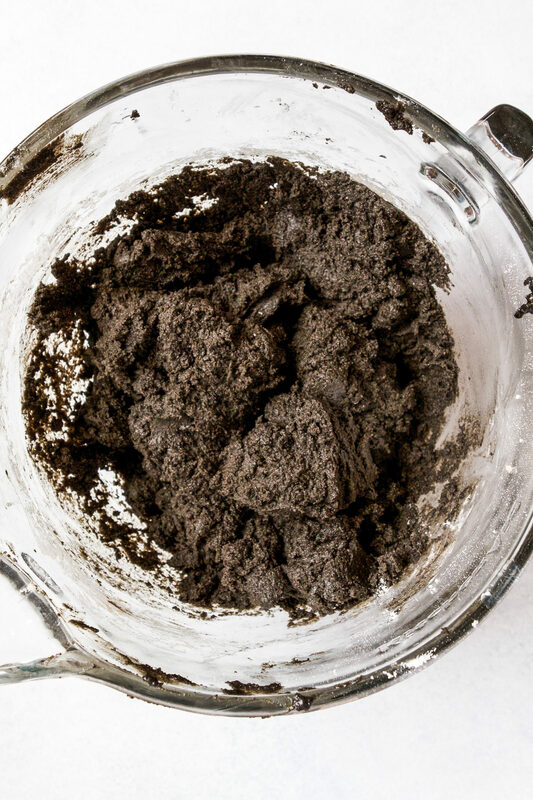 With this blend in hand you can truly swap out regular flour for gluten-free flour in almost any recipe. (essential for gluten-free baking), so you don’t have to mess with tracking it down or figuring out the right ratios. Not only that, it’s made with whole-grain sorghum flour, so you can feel good about eating it too. I find that most gluten-free flour blends often lack structure and texture, but NuLife’s blend offers both to my baked goods. Not available nationwide yet, you can sometimes find this blend at Whole Food’s, but it’s always available for online ordering. If you regularly bake gluten-free or are just looking for the right blend, I highly recommend and standby this product. It’s the only gluten-free flour I use, I don’t even make my own anymore! In other news, my #1 taste tester has also been my #2 builder lately. I just recently invested in a new computer—lord help my bank account—and thanks to my hammer-wielding, nail gun-shooting, white-washing dream-boat-of-a-guy, I have a new gorgeous standing desk that’s what desk dream are made of! Once we get the legs attached and I organize my life, I’ll share some photos. Anyway, I hope you all have a happy Halloween and enjoy these spooooky cookies! 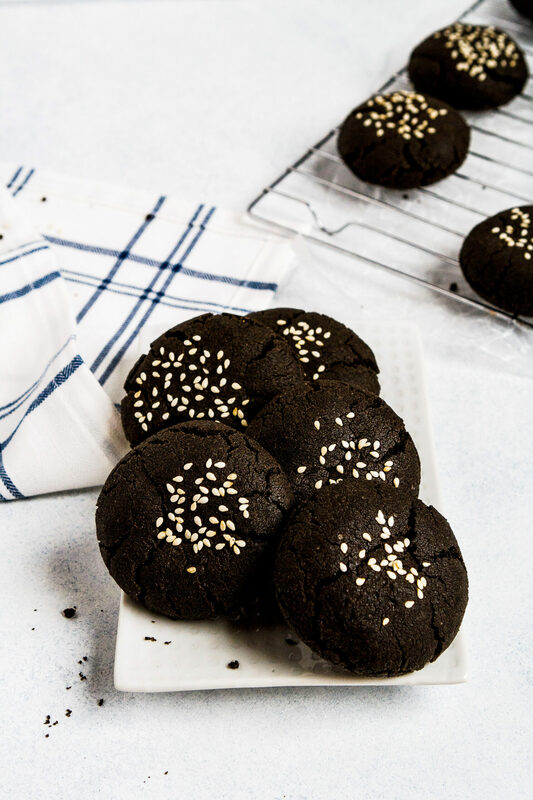 Somewhat of a glorified peanut butter cookie, these gluten-free chewy Black Tahini Cookies have a bit more structure and nutty flavor than it’s predecessor, while still featuring that beloved chewy texture. 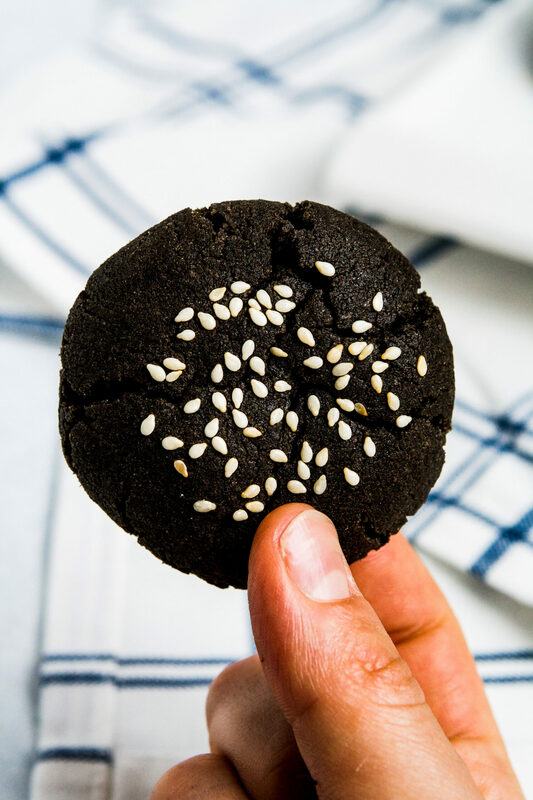 Deep black in color and studded with creamy white sesame seeds, these tender and delicious cookies are a fun addition to any halloween party! Heat oven to 375°F with racks set in upper middle and lower middle position. Line two baking sheets with parchment paper. Whisk flour, baking powder, baking soda, and salt together; set aside. Cream butter, brown sugar, and granulated sugar together in a stand mixer on medium-high speed, 3 minutes. 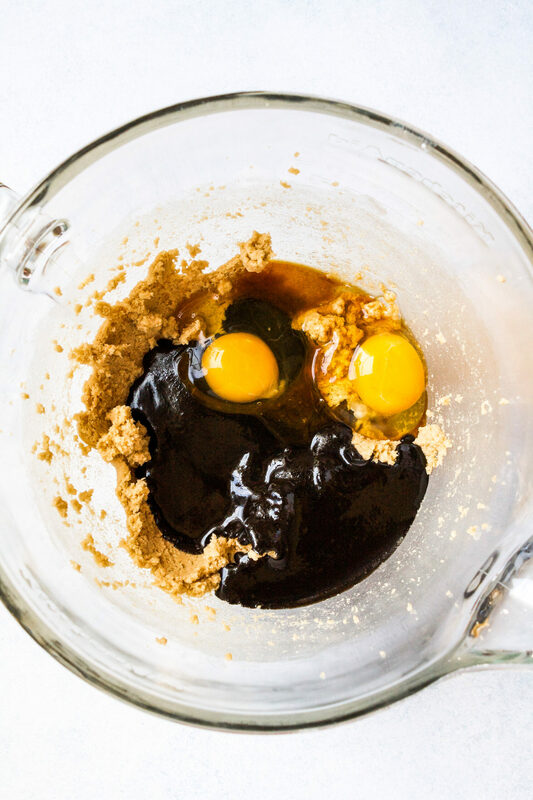 Add tahini, eggs, and vanilla and mix on medium speed until thoroughly combined, scraping down sides as needed. With mixer on low, gradually add flour mixture and mix until just combined. Working with 2 tablespoons of dough at a time, roll into balls, then gently press sesame seeds on top of dough balls; arrange on prepared sheets 1½-inches apart, sesame seed-side up. Bake cookies, two sheets at a time, until edges of cookies are set, 11–12 minutes, switching and rotating sheets halfway through baking. Let cookies cool on sheets 3 minutes, then transfer to wire racks to cool completely. Store cookies in an airtight container for up to a week, or freeze for up to a month. I would imagine that these are full of protein due to the tahini. I am pretty fascinated by it. Elise, they definitely are! And not overly sweet, which I like! These are so cool looking! Love the black for Halloween!! New to your site. 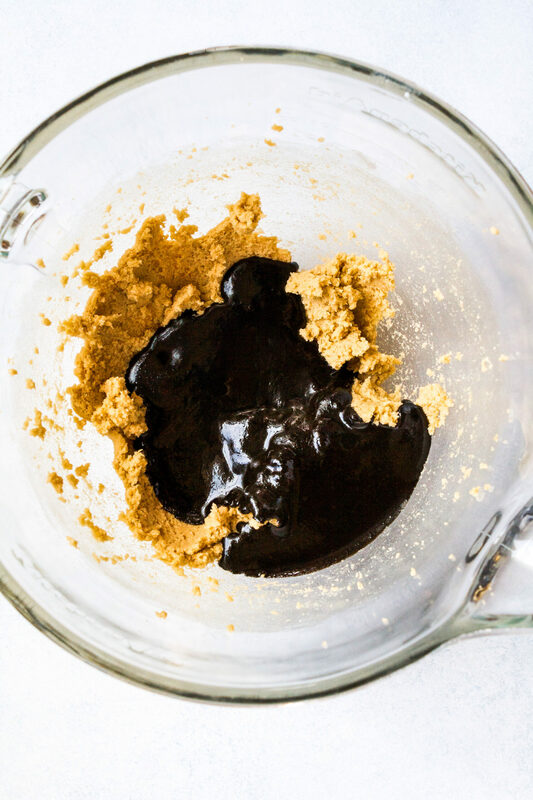 Is black tahini easy to find? Whole Foods maybe…? And can I use regular flour? Excited to make these…! I have found it at only a few Whole Foods, I always call them first just to make sure! But I usually order mine off of Amazon, I link to it earlier in the post (right under the dough ball photo). If you can’t find tahini or don’t want to order it, regular works just as well! Let me know how you like them, thanks for stopping by! I don’t think I’ve ever seen black tahini before! these look amazing! Thanks Georgie! It’s a but more nutty in flavor, I love it!